5.0 out of 5 stars Essential, With every infectious listen I have been spellbound by how good they are and how fresh their material sounds despite its vintage. 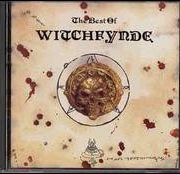 A good blend of Black Sabbath, early Judas Priest and occult 70s progressive rock is how I’d try to describe them, but musically and thematically they really … Continue reading WITCHFYNDE: The best of Witchfynde CD. Original, 1st version, British Steel. Top NWOBHM. Check audio.